We like to help people avoid making really big mistakes with their aircraft & spacecraft. Hardy Law was created to serve clients from a streamlined platform. With hands-on experience in aviation, law firms and government agencies, our attorneys provide relationship-centered legal services in the aviation and space fields. We’re committed to great service, striving for client happiness with each engagement. I’ve heard this used often in the marketing context. But I’ve found it to be even more meaningful in the legal world. Not always obvious, every legal issue presents the opportunity to advance relationships- personal, business, governmental, and with the various communities and environments we live and work in. And in my experience, a satisfying relationship (even more so than “winning”) is the key for client happiness. Whether advancing relationships through contracts, regulation compliance, or dispute resolution, my focus is working with relationships in a legal context. I’ve found that this allows for more creative, satisfying and lasting solutions to legal issues than the more traditional method of trying to force the “right” legal solution on a problem. Before starting Hardy Law, I practiced law for twelve years in a small firm, a mid-sized firm and a “mega firm”, helping clients who ranged from individuals, to startup businesses, to Fortune 50 international corporations. I worked with the Fulton County Magistrate Court as a mediator. 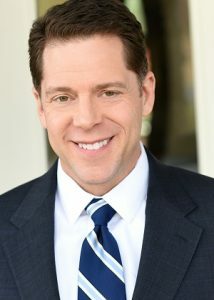 I also have experience working as a commercial pilot and flight instructor (adding extra depth to my practice as an aviation attorney), actor, private detective, industrial electrician, lifeguard, waiter and cook. With all that diversity I have seen a lot of creative and effective problem solving, as well as a lot of less effective approaches. I started Hardy Law with the intent of applying my relationship-centered approach, which I have found to be most effective and satisfying to everyone. Please call or write us at the phone number or address above to discuss how we can help. You can also contact us by e-mail, but please note that contacting Hardy Law, LLC does not establish an attorney-client relationship, so please do not send any sensitive or confidential information unless and until we agree in writing to terms of representation. Anything you communicate to us before then will not be protected by the attorney-client privilege! If you agree, please click the “Accept” button below to contact Hardy Law by e-mail. Copyright © 2019 Hardy Law, LLC. All rights reserved.